Your related images are never displayed to other users. The image information can only be seen by the user which uploaded the image unless the uploader specifically chooses the option to share info. 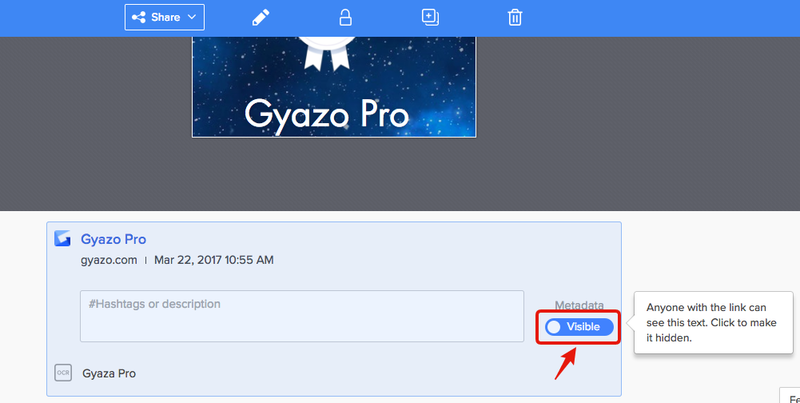 If you would like to share info about your images such as the title, description, original URL, and OCR scanned data, make metadata "visible" and then share the Gyazo link as usual. The viewer will see info about your image at the bottom of the image page. Rest assured, it will never be provided to third parties or made public. This data is transferred safely between your computer and our servers using HTTPS. What is a Gyazo Account?